Date of birth: January 2nd, 2012. Health results: HD A/A, ED 0/0, OCD Free (0). 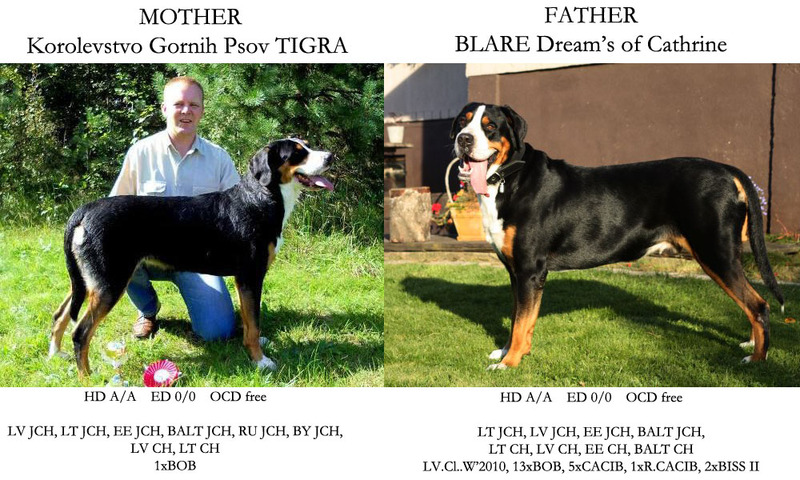 Champion titles: LT JCH, LV JCH, EST JCH, BALT JCH, BY JCH, LT CH, LV CH, Club CH. Achievements in shows: 23xBOB, 10xCACIB, 3xR.CACIB, 19x CAC, 8xBest Junior, 1xBISS I, 1xBISS II, 1xBISS III, Lithuanian Club Winner'13, Latvian Club Winner'13, Lithuanian Junior Winner'13, Latvian Junior Winner'13, Lithuanian Winner'14, Latvian Winner'14, Lithuanian Winner'15, Lithuanian Club Winner'15, Lithuanian Club Winner'16. 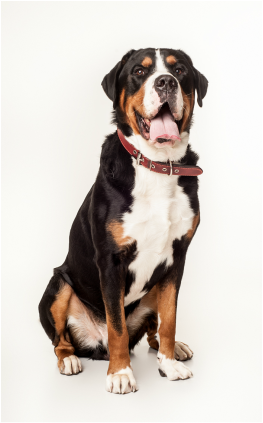 More information about mother: www.zennenhund.lv; about father: www.blare-greatswissy.lt.